He was arrested in Elgin, Illinois for Failure to Appear/Driving with License Revoked. When they ran his information through the Homeland Security computer (Law Enforcement Support Center , Williston, VT) they got a hit. At that time Immigration (ICE) was notified by the Elgin Police.The answer came back from ICE that he was not in the United States legally but he is not picked up for deportation. He was arrested again, this time the charge was Unlawful Possession of a Controlled Substance. Again, Elgin Police use the LESC system and Immigration is contacted. The same answer came back from ICE. He is here illegally. He is not picked up for deportation. ICE does a sweep of known gang members in the Chicago Area under their Community Shield program. Mr. Valentin is one of the 49 people they pick up. ICE in Washington DC issues a press release about the 49 arrestees and specifically names Mr. Valentin as the 10,000th person arrested under the Community Shield program. They give us an insight into his criminal history with the following statement: Arrested July 14 in Elgin, Ill., Sierra-Martinez is an illegal alien from Mexico with prior criminal convictions for residential burglary, domestic battery, possessing drug paraphernalia, and knowingly damaging property. He remains in ICE custody pending deportation to Mexico. Perfect. This gangbanger is on his way OUT of the United States. But wait; there’s more. A year later he appears in the local police blotter. • False report: Valentine S. Martinez, of 383 Division St., Elgin, was arrested Monday on a felony charge of disorderly conduct after he allegedly filed a false police report. Martinez on June 15 told police that his car had been stolen, a police spokesman said. On Sept. 23, according to police, Martinez's missing car was recovered in Hanover Park. Martinez then admitted he had sold the car to another man, a report said. Apparently, the car buyer had only partially paid for the vehicle, so Martinez reported the vehicle stolen, authorities said. Martinez's bail was set at $10,000. He is to appear in court Oct. 13. 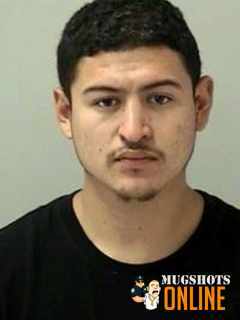 • Valentin S. Martinez, 21, of the 300 block of Division Street, Elgin, was charged with felony disorderly conduct Sunday. The charge alleges that in June he filed a police report falsely claiming his 1998 Mercury Grand Marquis had been stolen. Martinez's bail was set at $10,000 and his next court date is Oct. 13 at the Kane County Judicial Center. He faces up to three years in prison if found guilty. The same name shows up in the police blotter in Elgin, Illinois. The age is the same. This is the SAME GUY who was the 10,000th customer in the ICE Community Shield program. But this time he’s the victim. As it turns out he sold a car to someone who promised to make payments. When he stopped making payments, Valentin turned to the police and reported it stolen. Deputy Chief Beeter contacted ICE today about Mr. Martinez to inquire into his status. ICE advised Deputy Chief Beeter that a judge has now granted Mr. Martinez authorization to be in the country. ICE further advises that it will not be able to deport Martinez unless he commits a deportable offense which would include certain drug offenses or violent felonies. So he was never deported. And despite his rap sheet and convictions, he was not going to be deported without future felonious activities. Some judge intervened and allowed him to stay. His new status was never explained. At this point I can’t seem to find our boy. This statute basically applies to intimidation or disturbing the peace. It is generally a misdemeanor with some community service time. Who knows? He doesn’t appear in the IDOC inmate computer. Maybe he’s moved on to another state. Or maybe he’s living down the street. What’s clear at this point is that government didn’t protect me from him given two easy opportunities (in handcuffs in the local jail). Even with the ICE sweep of gangbangers he was turned loose by a judge. His stunt of filing a police report to satisfy a car loan obviously didn’t have long-term consequences because he was out on the street in October of 2010. What’s wrong with this picture? And why should we believe Homeland Security and Marco Rubio this time around?